Robert David Steele, former Marine, CIA case officer, and US co-founder of the US Marine Corps intelligence activity, is a man on a mission. But it’s a mission that frightens the US intelligence establishment to its core. With 18 years experience working across the US intelligence community, followed by 20 more years in commercial intelligence and training, Steele’s exemplary career has spanned almost all areas of both the clandestine world. Steele started off as a Marine Corps infantry and intelligence officer. After four years on active duty, he joined the CIA for about a decade before co-founding the Marine Corps Intelligence Activity, where he was deputy director. Widely recognised as the leader of the Open Source Intelligence (OSINT) paradigm, Steele went on to write the handbooks on OSINT for NATO, the US Defense Intelligence Agency and the U.S. Special Operations Forces. In passing, he personally trained 7,500 officers from over 66 countries. In 1992, despite opposition from the CIA, he obtained Marine Corps permission to organise a landmark international conference on open source intelligence – the paradigm of deriving information to support policy decisions not through secret activities, but from open public sources available to all. The conference was such a success it brought in over 620 attendees from the intelligence world. But the CIA wasn’t happy, and ensured that Steele was prohibited from running a second conference. The clash prompted him to resign from his position as second-ranking civilian in Marine Corps intelligence, and pursue the open source paradigm elsewhere. He went on to found and head up the Open Source Solutions Network Inc. and later the non-profit Earth Intelligence Network which runs the Public Intelligence Blog. Last month, Steele presented a startling paper at the Libtech conference in New York, sponsored by the Internet Society and Reclaim. Drawing on principles set out in his latest book, The Open-Source Everything Manifesto: Transparency, Truth and Trust, he told the audience that all the major preconditions for revolution – set out in his 1976 graduate thesis – were now present in the United States and Britain. Steele’s book is a must-read, a powerful yet still pragmatic roadmap to a new civilisational paradigm that simultaneously offers a trenchant, unrelenting critique of the prevailing global order. His interdisciplinary ‘whole systems’ approach dramatically connects up the increasing corruption, inefficiency and unaccountability of the intelligence system and its political and financial masters with escalating inequalities and environmental crises. But he also offers a comprehensive vision of hope that activist networks like Reclaim are implementing today. Open source everything, in this context, offers us the chance to build on what we’ve learned through industrialisation, to learn from our mistakes, and catalyse the re-opening of the commons, in the process breaking the grip of defunct power structures and enabling the possibility of prosperity for all. Despite this unabashedly radical vision, Steele is hugely respected by senior military intelligence experts across the world. As a researcher at the US Army War College’s Strategic Studies Institute, he has authored several monographs advocating the need for open source methods to transform the craft of intelligence. He has lectured to the US State Department and Department of Homeland Security as well as National Security Councils in various countries, and his new book has received accolades from senior intelligence officials across multiple countries including France and Turkey. Yet he remains an outspoken critic of US intelligence practices and what he sees as their integral role in aggravating rather than ameliorating the world’s greatest threats and challenges. This week, I had the good fortune of being able to touch base with Steele to dig deeper into his recent analysis of the future of US politics in the context of our accelerating environmental challenges. The first thing I asked him was where he sees things going over the next decade, given his holistic take. “Properly educated people always appreciate holistic approaches to any challenge. This means that they understand both cause and effect, and intertwined complexities,” he said. “A major part of our problem in the public policy arena is the decline in intelligence with integrity among key politicians and staff at the same time that think tanks and universities and non-governmental organisations have also suffered a similar intellectual diminishment. So why isn’t it happening yet? On 1st May, Steele sent an open letter to US vice president Joe Biden requesting him to consider establishing an Open Source Agency that would transform the operation of the intelligence community, dramatically reduce costs, increasing oversight and accountability, while increasing access to the best possible information to support holistic policy-making. To date, he has received no response. So does open source mean you are calling for abolition of intelligence agencies as we know them, I ask. “I’m a former spy and I believe we still need spies and secrecy, but we need to redirect the vast majority of the funds now spent on secrecy toward savings and narrowly focused endeavors at home. For instance, utterly ruthless counterintelligence against corruption, or horrendous evils like paedophilia. For Steele, the open source revolution is inevitable, simply because the demise of the system presided over by the 1% cannot be stopped – and because the alternatives to reclaiming the commons are too dismal to contemplate. We have no choice but to step up. Dr. Nafeez Ahmed is an international security journalist and academic. He is the author of A User’s Guide to the Crisis of Civilization: And How to Save It, and the forthcoming science fiction thriller, ZERO POINT. ZERO POINT is set in a near future following a Fourth Iraq War. Follow Ahmed on Facebook and Twitter. New technologies are eating jobs. Big deal, you might say. After all, the steam engine, cotton gin, sewing machine, and automobile all eliminated jobs. The fact is that new technologies have long created many more new jobs than they have eliminated. But today is different. In the past, innovation advanced slowly enough that people had time to recognize and adapt to new opportunities before many of the old jobs disappeared. Today, innovation is advancing so quickly that jobs are being destroyed and new opportunities are being created faster than many people can recognize them or adapt to them. Today, we need to recognize those opportunities and adapt to them ever more quickly. The good news is that anyone can do this, and best of all, anyone can create his or her own job. Including you. In this article, we’ll see how. · In his seminal 2010 The McKinsey Quarterly article, “The Second Economy,” Santa Fe Institute’s Brian Arthur predicts that in about two decades, a “second economy” of software, servers, and sensors will rival the size of the human economy, in value added if not in revenue. This autonomous economy is already automating formerly human tasks, such as airline passenger management (reservations, check-in, security, baggage, and billing) and international shipping (registration, tracking, and forwarding). · In Race Against the Machine (2011), MIT’s Erik Brynjolfsson observes that software and automation are eating away at low- to mid-level desk jobs like accounting and customer service, a trend that will eventually extend to high-skilled professions like medicine and engineering, on the one hand, and trades like hairdressing and plumbing, on the other. Google driverless cars will replace human drivers, and IBM Watson-like technology with sensors will replace physicians’ medical diagnoses. · Most recently, in Average Is Over (2013), George Mason University’s Tyler Cowen writes that the above trends will lead to stagnant or falling wages for much of the United States. Future employment will require skills to collaborate with and complement machines to avoid competing with and being replaced by them. The Oxford Martin School concurs, concluding that 45% of American jobs are at high risk of being taken by computers within the next two decades. Most vulnerable are jobs in transportation/logistics, production labor, and administrative support; next are services, sales, and construction; last will be management, science and engineering, and the arts. In the early 19th century, the automated loom, famously protested by the Luddites, took jobs away from weavers. Later, electricity and the light bulb took away jobs from wood-burning stove and candle makers. The automobile took away jobs from buggy makers. Digital computers and switches took jobs away from their human counterparts. But in each case, new technologies provided many more jobs than they eliminated, in two ways. The first, more modest way was through the development, manufacture and maintenance of the new technologies, be they looms or light bulbs. The second, more significant way was through the leveraging and combining of the technologies in new, often unexpected applications and business arrangements that could not have existed without the technologies. The cotton gin and automated loom enabled large-scale production of soft, comfortable clothing, making it affordable for millions of people for the first time. Steam engines and railroads enabled goods to be shipped to distant markets, which in turn made Sears & Roebuck mail order catalogs and later department stores possible. Electricity enabled the global power grid and electrical appliances. Digital computers and switches enabled IT, telecommunications, software, the Internet, and mobile applications. 3. New solutions create new needs around them (e.g., mobile phones need holsters; cars need navigation, keyless entry, and camera systems; video games need virtual money; electric vehicles need re-charging stations). In his modern classic, The Origin of Wealth, Eric Beinhocker estimated the number of individually coded products available to New York City residents in 2006 to be on the order of tens of billions. With this mushrooming range of products and ever-faster pace of innovation, needs and opportunities are coming at us faster than we can recognize or adapt to them. To become or stay employed in this environment, we’ll first see how to land an existing job (one someone else has created); then, how to create your own job. 1. Master the very technologies that are eating jobs. Someone has to design, implement, test, build, maintain, market, sell, and apply that software and automation. That someone could be you. MIT/Harvard edX, Coursera, Udacity and CodeCademy offer free Massive Open Online Courses (MOOCs) in programming, AI, machine learning, and databases. To start a career in software development, consider Python. It’s interactive, exposes and introduces you to essential programming concepts, and easily integrates into existing web services, enabling you to leverage others’ work. Job opportunities abound: see www.python.org/community/jobs/ . Next, consider developing a web service to demonstrate your skills or to offer to others. See www.programmableweb.com/apis/directory for examples. This will require using a server-side language, likely Python, PHP, Ruby on Rails, or if you are more ambitious, Java or C++, then deploying it on one of the cloud computing ecosystems such as Amazon Web Services or Google Cloud Services. Yet another path is creating a mobile app for iPhone or Android and connecting to your own or others’ web services. Veteran software developer Ervan Darnell, who has worked for both Facebook and Google, reiterates that free tools and courses are available for all of the above, and further notes that the software industry weighs talent more heavily than titles or university degrees. That’s good news. Titles and degrees require entrance qualification exams and tens of thousands of dollars for tuition and expenses. In contrast, MOOCs are free and open to everyone. Increasingly, all you need to get a quality education is initiative, self-discipline, and hard work. 2. Become an early adopter of new technologies and apply them in your work. With the accelerating pace of technology, adopting new technology even slightly ahead of the mainstream of your field will give you more and more of an advantage in productivity and competitiveness. If staying one year ahead gave professionals a 10% advantage in 1992, doing so might give them a 20% advantage in 2014. This principle applies to all trades and professions. Electricians can use new meters and testers that improve their efficiency and accuracy, and learn to install and maintain computer networks in addition to wiring and components. Plumbers can apply technologies such as SeeSnake, a video camera for inspection and diagnosis of clogged pipes. Dentists, hairdressers, and auto repair shops can use free online software to enable their clients to self-schedule for appointments. Taxi drivers can use GPS to efficiently combine deliveries with passenger service. Real estate agents can use Google Maps to customize displays of listings for clients. These innovations free up time to make trades people and professionals more productive, allow them to offer higher-quality or differentiated services, or both. ACA (“Obamacare”) incentivizes employers to convert many jobs from full-time to part-time. Fortunately, new online services empower even those without technology skills to find part-time work, for example, as drivers for Lyft, or running errands with TaskRabbit. Going still further, Amazon Mechanical Turk is enabling those in the world’s poorest developing countries to earn income by performing simple tasks (like responding to surveys or tagging everyday items in photos) from wherever they are and whenever they are able. 3. Choose a career in strong demand. Liberal arts are vitally important, but if you are in college, landing a job after graduation is almost certainly urgent. You have a lifetime to learn about arts and the humanities, but only two to four years to prepare to support yourself. Besides IT and automation, fields generally in demand include bio-tech, nursing, network security, welding, medical technology, and analytics. Find out which are both in greatest demand and most interest you. Far more people are studying the arts and the humanities than will find jobs in those fields. If you choose arts or the humanities and find yourself underemployed or unemployed, see 1 or 2 above, and “Create Your Own Job” below. 21-year-old Daniel Trujillo, a student at NCP College of Nursing in Hayward, CA, is learning how Google Glass can provide real-time, mobile, hands-free patient charts and histories bedside. He will be among the first generation of hospital practitioners using wearable IT. By learning leading-edge technology in a highly demanded field, I predict he will easily find a job. All human beings are entrepreneurs. When we were in the caves, we were all self-employed…finding our food, feeding ourselves. That’s where human history began. As civilization came, we suppressed it. We became “labor” because they stamped us, “You are labor.” We forgot that we are entrepreneurs. Anyone who wants to can create his or her own job. Our ancestors – hunters, gatherers, farmers, craftspeople, and traders – knew no other options. If we were all entrepreneurial once, we can still invoke that inner strength today. Creating your own job lets you do what you are passionate about; lets you make a long-term investment in you, your own business and brand rather than someone else’s; and lets you address opportunities that are unique to you—no one else has your unique combination of skills, knowledge, relationships, and strengths. So why don’t more people create their own jobs today? It is not that they can’t. In some cases, other paths are easier or have shorter-term pay-offs, such as landing an existing job or going on unemployment. In other cases, regulation raises major hurdles to addressing opportunities, as I discussed in a previous column . I don’t promise that creating your own job will be easy. I do promise that it will expand the boundaries of your world, and possibly profoundly enrich your life. · My running shoes don’t tell me how far or fast I have run, nor details of my stride or gait. · None of the pharmacies in my neighborhood make home deliveries. · Arthritis can prevent elderly people from using an iPhone or iPad. · Airline ground crews lack real-time information during boarding about how many and which overhead bins have open space, sometimes requiring that bags be checked when they could be carried aboard and stowed. If you are passionate about the product or service, you’ll recognize its limitations before others do. Limitations are simply potential needs. If those needs are shared by many others and don’t already have solutions – both of these require research to validate – bingo! – you have identified an unsatisfied customer need. That’s the first step towards creating a job for you. Next, brainstorm possible solutions, ideally with your potential customers, that you could provide in whole or in part using the resources at your disposal. Acquiring knowledge of new technologies in the field will expand your possibilities. With whom could you team up or partner, if necessary, to enable the solution? Answering those questions is the second step towards creating your job. Next, can you get a customer to pay you for your solution, even if rudimentary, incomplete, or unpolished, possibly on the understanding that their early payment will enable you to develop and deliver the full product or service to them? That’s the third step. If so – you have created a job! Assume that you won’t get paid for some or much of the time and effort you invest to win this first customer. After you have successfully delivered what you promised and created your first satisfied customer, find other customers you could similarly serve, refine your solution based on what you have learned, and repeat. My video Unleash Your Inner Company has many more suggestions for creating your own job and starting your own business. Now imagine tens of millions of people throughout the U.S. and the world similarly searching for unsatisfied needs in areas they are passionate about, assessing which needs they are best suited to satisfy in whole or in part, and designing and building products or offering and delivering services that satisfy those needs. Suddenly, tens of millions of jobs are being created. Many of these efforts will take a second, third, or fourth attempt before they are successful. Every attempt increases your likelihood of success; perseverance is a necessary part of success. A small percentage of these businesses will create not just one but many jobs. This bottom-up approach to satisfying needs and creating jobs is scalable, sustainable, and has hugely raised living standards and quality of life over the decades. So software and robots are eating jobs? Not yours. The Origin of Wealth: Evolution, Complexity, and the Radical Remaking of Economics , Eric D. Beinhocker, Harvard Business School Press (2006). This magnificent work marries economics and complexity science and imparts deep understanding of the current state and future of economics. I think of it as a modern-day Wealth of Nations. It deserves a wide audience and a prominent place in any economics library. Bilingualism is not only about learning a second language, it makes the brain more efficient at other tasks. With all the technology being developed these days, it’s easy to imagine how this technology can transition into classrooms. But no, most classrooms are still the same as when we were kids, and even when our parents were in grade school. Equipped with one or two blackboards or whiteboards, chairs with tables for students, some art on the wall, books on shelves and other whatnots found in common classrooms, could the lack of technological improvements in classrooms attribute to how poorly students are doing in today’s economy? During The Next Web Conference Europe, Pearson Chief Digital Officer Juan Lopez-Valcarcel talked about how 46 percent on US college students do not graduate, and those that do, 40 percent are told that they do not have the right skills for a job they are applying for. this may be due to the fact that while tuition has increased by 70 percent in the last 10 years, the value of the degree has declined by 15 percent in the same time frame. But the biggest problem is, for in-demand jobs today and in the future, pertinent courses are not being offered in universities or colleges. For instance, if someone wants to be Data Scientist – you won’t find a school offering a course specific to that job. So how can things change? How can technology help transform the state and quality of education? Though some schools are equipping students with tablets to facilitate their learning, the device still poses as a barrier as it could be a distraction for some students. And more problems occur when a tablet is left at home, misplaced or broken. What happens to students in this scenario? Lopez-Valcarcel proposes a future with invisible computers, where classroom objects, like a desk, will serve as a computer and all the data is available whenever needed. Teachers can give assignments to students and not worry about the student not being informed about it. Today, some use analytics to predict how well a student will do in an exam based on previous tests or class participation. With that, the teacher can do something about it, like offer to tutor for o level chemistry tuition, the student before the exam, so the student’s chance of failing is reduced. In the future, Lopez-Valcarcel proposes that instructors use body language assessment to determine whether a student is able to follow the discussion. If a student is writing slowly, keeps wrinkling his forehead, stares blankly at the board – these may be signs that a student is struggling to understand, signs that a teacher needs to be aware of. By becoming aware, the teacher can stop and explain things further before going to a new topic or ending the discussion. Though some students curse their teachers, sometimes they still need help. Though Lopex-Valcarcel talked about an MIT project that equipped Ethiopian children with tablets and no instructions but they were able to learn on their own, not everything will come as easily. He made an example of Korea, where instead of hiring people to teach kindergarten students the English language, since there’s a scarcity in English teachers in Korea, classrooms were equipped with robots that facilitate assisted learning of the language. Why robots? Because kids respond better with robots than a tablet. Massively Online Open Courses seem to be a hot commodity these days. This allows you to take courses online and earn a degree online. Some courses just offer reading lists that you need to study and take an exam, while others have videos that students can download. What the future holds is an array of Global Rockstar Teachers – teachers that impart their knowledge online, either via live streaming or one on one sessions. This means that the best teachers will be available for anyone in the world, these teachers will no longer be confined in the top schools that are insanely hard to get in. Educational games are boring and they may soon go the way of the dinosaur. So how can you make learning more fun, or how can you use it as a tool to use for training and hiring? Make popular games more educational. Players won’t even have to know about it. Wouldn’t it be more fun to go to school and be asked by your teachers to play your favorite game for the whole period? At first you’d probably think there’s a catch, but haven’t you noticed how you retain more information about the things you like effortlessly? Perfect example, my little brother passed a test regarding Dante’s Inferno by playing the game on PS3. Almost everyone is on some kind of social platform. There’s Facebook, Twitter, Flickr, Google+ and numerous others. Teens use these to communicate about anything that’s happening in various aspects of their lives. Some use social networks to ask their classmates if there are any assignments, or if they have any questions regarding a project. If educators could take social media a step further and use it to deliver educational material to students, it could help students engage and learn more. There are many devices available for consumers these days and some are currently only available to developers. What if Google Glass was made available to students? Can they make something better for it, or with it? If students are given access to developer-aimed devices, could they possibly be the next big name in Silicon Valley? Will technology teach or distract in the classroom? But could these technologies really help in education or will they just cause more problems for students? Joining Kristin Feledy in this morning’s NewsDesk is NewsDesk Director Winston Edmondson to give his Breaking Analysis on whether technology is really something that schools need or if all these issues have a deeper root. “The biggest barrier is actually the culture within a school district. Before I talk about invisible education, let’s talk about invisible administration. You can look at two examples like Lewisville Independent School District where they brought in Dr. Stephen Waddell who had as very open minded technology. He actually instituted changes that are embracing all these technology trends . So you’re seeing education actually changing before your eyes. So that’s probably the biggest barrier. You need to have an administration that’s willing have some of these exciting, yet disruptive, technologies,” Edmondson stated. Even if you aren’t considering going back to school, you’re about to pick up the tab for a college education. The same cast of characters that brought you the housing crisis, a post office hemorrhaging billions, and a school system that gets more expensive as it gets worse has now brought us a student loan crisis. A recent report from the Federal Reserve Bank of New York says the value of student loans outstanding is now close to $1 trillion, making it the largest and fastest-growing share of non-mortgage consumer borrowing. Unlike other forms of consumer debt, which have fallen, total student loans have grown by 75 percent since 2007. The federal government has pushed relentlessly to expand access to college by cutting out the private sector in loan programs and by altering repayment terms for borrowers via executive order. It bears an eerie resemblance to the obsession with homeownership that got us into our current straits. Like potential homeowners, students have been encouraged to borrow with impunity. It continues to intensify: The Department of Education lent $133 billion in 2010 and $157 billion in 2011. Late payment trends are also following a similar pattern to the subprime mortgage crisis. With new programs geared toward “income based” repayment plans and forbearance timetables, it is increasingly likely that the federal government and thus the taxpayer will eventually be on the hook for tens of billions of dollars of loans that will never be repaid. This phenomenon has real social consequences. With two-thirds of college graduates possessing student loan debt of at least $25,000 and 53 percent of recent college graduates either unemployed or acutely underemployed, unproductive economic dislocations—putting off the purchase of a home or delaying marriage, for example—are rampant. The billions of dollars sloshing around the system have triggered the classic definition of inflation: Too much money is chasing too few goods. It has also lent further credence to Milton Friedman’s claim that inflation is always and everywhere a monetary phenomenon. Since 2000, tuition at public, four-year colleges has risen by an inflation-adjusted 72 percent, and over the past 25 years, it has increased at an annual rate 6 percentage points higher than the cost of living. When prices rise, government loans increase to effectively subsidize the difference, allowing colleges to continue increasing tuition, thus completing the cycle. One beneficiary is online education. While it will never completely replace the college campus, current economic realities make it a legitimate alternative. It provides an avenue of highly individualized instruction at a fraction of the cost of the traditional model. Overspending on higher education has reached a tipping point. Just as aggressive government intervention in the housing market led to a variety of economic distortions and ultimately cost the taxpayers billions, the student loan problem is destined for similar results unless substantial reforms are implemented. The government must exit the lending arena and be replaced by an active and innovative private market with legitimate underwriting standards. A variety of arrangements would be possible in this environment, including contractual agreements between businesses and students that revolve around the future employment and cash flows of of the borrower. Before we can get to that point, however, it is essential that we grasp as a nation how unproductive and costly it is when federal authorities try to dictate outcomes by aggressively intervening in the marketplace. We must return to first principles and continuously ask ourselves what the proper role of government is in a free society. New research shows that the ‘Great Pacific Garbage Patch’ is just the tip of the iceberg (Photo:Lindsey Hoshaw via Spot.us. )Floating patches of humanity’s garbage have become a permanent feature in the world’s oceans and a new discovery in the South Pacific shows that this woeful trend has worsened, not improved, since the phenomenon was first discovered nearly two decades ago. As new research by the 5 Gyres Institute shows, the existence of a new plastic island has been found swirling with junk in ocean currents running near Easter Island in the South Pacific, marking the first documented garbage patch in the Southern Hemisphere. The new study, published in the journal Marine Pollution Bulletin, documents the first evidence of a defined oceanic “garbage patch,” an accumulation zone of plastic pollution, floating in the area designated as the South Pacific subtropical gyre. “Without a doubt, we have discovered a previously unknown garbage patch in the South Pacific Subtropical Gyre,” said Dr. Eriksen. Also, a recent investigation by a team of Australia researchers found that “humans have put so much plastic into our planet’s oceans that even if everyone in the world stopped putting garbage in the ocean today, giant garbage patches would continue to grow for hundreds of years.” No matter where plastic garbage enters the ocean, the group said, it will inevitably end up in any of the five ocean basins. These findings were the result of research done by the Australian Research Council Center of Excellence for Climate System Science who employed drifter buoys to determine how these giant ocean garbage patches form as a result of ocean currents. 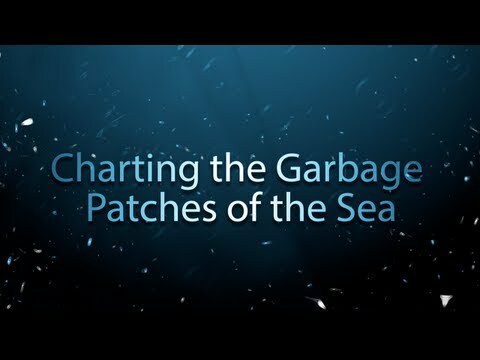 “There are five known garbage patches in the subtropical oceans between each of the continents. Each contains so much plastic that if you were to drag a net through these areas you would pull up more plastic than biomass,” said lead author Dr. Erik van Sebille.